Queens social host and liquor liability laws (aka dram shop laws) make it possible for owners of bars, restaurants and other establishments to be held liable for financial damages when they serve intoxicated patrons alcohol and those patrons go on to injure or kill others in accidents. 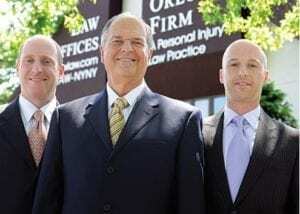 If you or a loved one has been injured in a drunk driving accident, the attorneys at The Orlow Firm are here to help. We have the skill and experience to handle complex drunk driving accident cases, including those involving dram shop liability. Contact our Queens law firm today to speak with an experienced Queens liquor liability attorney. Bars and restaurants are prohibited from serving alcohol to patrons who are visibly intoxicated. When they neglect this responsibility, intoxicated patrons can leave the establishment, operate a motor vehicle and put innocent lives at risk. Victims of drunk driving accidents can face overwhelming financial hardship. The injured may face steep medical bills, lost time from work, severe pain and suffering and other hardships. Family members who have lost loved ones in fatal drunk driving accidents also face financial burdens. For this reason, it is important to pursue all avenues of compensation. Social host and liquor liability offers the potential for additional sources of compensation, allowing accident victims and their families to obtain the financial resources they need to cope with the consequences of a drunk driving accident. Have you or a loved one been injured by a drunk driver? If so, contact our Queens car accident lawyers today for information regarding your legal rights. Contact the Orlow Firm by calling (646) 647-3398.